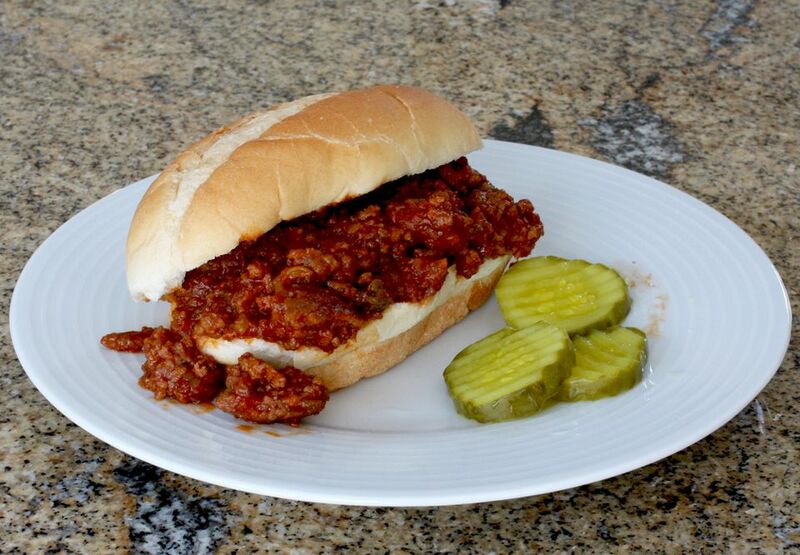 The sloppy joe is a classic American sandwich filled with seasoned ground beef mixed with tomato sauce or ketchup. The origin is unknown, but recipes date back to the 1940s. The name probably refers to the messy appearance rather than a person named Joe. These classic crock pot sloppy joes are made with lean ground beef, garlic and onion, peppers, and seasonings. The slow cooker is not only a good way to simmer the sandwich filling, it's perfect for parties or tailgating. The cooker can be kept on low or warm for serving. Have hamburger buns, napkins, and utensils available for guests. The recipe is easily scaled up for a big party or family gathering. Stir in ​the ground beef mixture. Cover and cook on LOW setting for 5 to 7 hours. Serve spooned over hamburger buns or sandwich rolls with a side salad or French fries.